The relation of man to a place is not simply that of being able to be comfortable in their surroundings but has to do with a much deeper process of identification and familiarization. It needs to be said that even though we heap praise to the urban development, it’s during this phase that certain attributes or essence has indeed been lost and its disastrous consequences can also be clearly seen in our present age. On a personal front I would state that the basic act of Architecture is to understand the “vocation” of the place. We all know and respect that man is an integral part of the environment; similarly we need to wrap our heads around the fact that environment is indeed essential for humans and continuing our existence with mutual harmony is the most ideal condition. 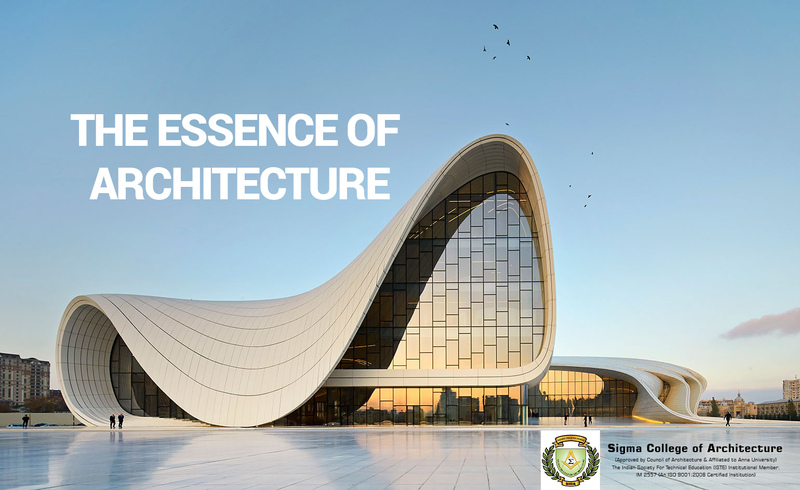 Here at Sigma College of Architecture, one of the top Architectural colleges in South India we strive to make this logic clear to all our students.